Byrne Resources provide concrete recycling Brisbane residents count on, as well as residents of Waterford, Byerwen, Millmerran and Pinkenba. Concrete recycling is a fast and efficient way to lower your company's overhead and reuse materials that would otherwise end up useless once you completed your current project. Additionally, concrete crushing allows you or other companies on the Gold Coast and Eagle Farm to reuse your concrete and repurpose it into concrete dust, backfill or as a solid road base. We excel at crushing and screening at Byrne Resources, and we're one of the premier companies when it comes to the concrete recycling Brisbane residents use in their projects. Let Byrne Resources handle your project's recycling demolition in Pinkenba and Waterford. Are you looking for ways to reduce your company's operating costs and speed up your clean-up efforts at the same time in Brisbane or Millmerran? If so, Byrne Resources has a fast and efficient answer with our concrete recycling processes. We'll even come straight to your worksite and perform crushing and screening at the end of your project. No matter if your project is in Byerwen, Northern NSW or Central Queensland, we'll come to you. We have all the tools and equipment along with the industry knowledge to perform concrete crushing on a large scale and small scale without a problem. When it comes to concrete recycling Brisbane civil works and construction companies, they turn to Byrne Resources time and time again. This has allowed us to build a loyal client base ranging from Waterford to Northern NSW and Queensland-wide. 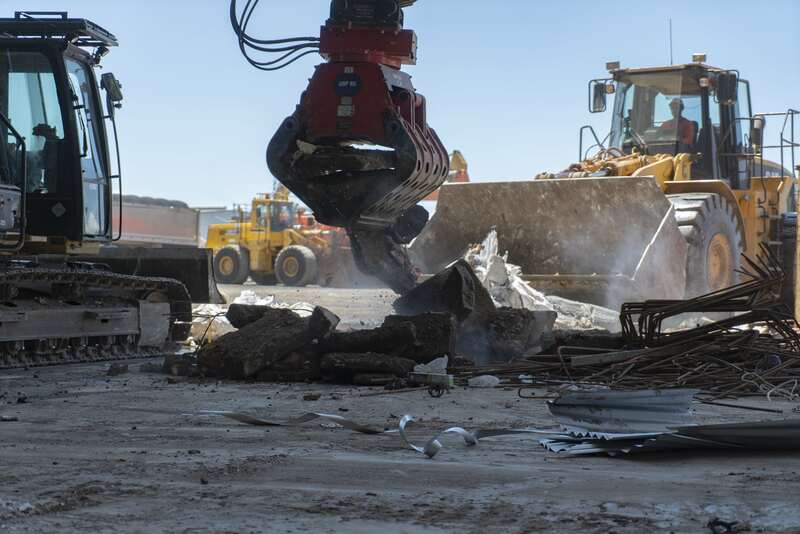 They know that they'll get professional recycling demolition experts that will deliver quality results and keep your project moving along smoothly. For small companies and private projects in Byerwen, Millmerran, the Gold Coast and Eagle Farm, this can significantly reduce your overhead costs and let you use the excess money in other areas without worrying about going over your budget. Contact Byrne Resources for a free quote on concrete crushing and recycling today! We invite you to contact us at Byrne Resources for concrete recycling and concrete crushing needs in Pinkenba, Central Queensland and Queensland-wide today! Tell us what you need and we’ll provide you with a free quote.